Max Vernon: THE VIEW UPSTAIRS IS A HIT! THE VIEW UPSTAIRS IS A HIT! A radical new musical...Vernon has succeeded in creating a musical that is authentic, funny, and deeply resonant. No one can leave the theatre untouched...Brilliant and fun. Likable new musical...Mr. Vernon’s score, which draws from the period’s disco, soft rock and glam sounds, is solid...unexpected and marvelous; channels a vintage camp that is all too rare nowadays. Vernon’s musical uses the tragedies of the past to highlight the mistakes of the future...Scott Ebersold has directed this production to feel intimate, ensuring each of the characters have their time to shine and connect with the audience...Drama, music and lyrics are combined to create a thrilling experience...'The View UpStairs' is a magical, moving production that provokes important debates and a feeling of camaraderie. Max Vernon’s compact musical could have been all fun and camp, but it’s more thoughtful than that, with sad, beautiful love songs performed by a soulful ensemble cast. Vernon expresses social insight well beyond his years...Vernon’s forte is his score which illuminates both the vibrancy and nuance of the spectrum in his character’s lives and emotions...The ensemble cast bringing The View UpStairs to life is poignant, sparkling, and in some sequined cases, dazzling...A new musical for even the most seasoned and experienced theatre professionals is a Herculean task; an original musical, not based on a well-known story or title, is almost unheard of in today’s commercial climate. 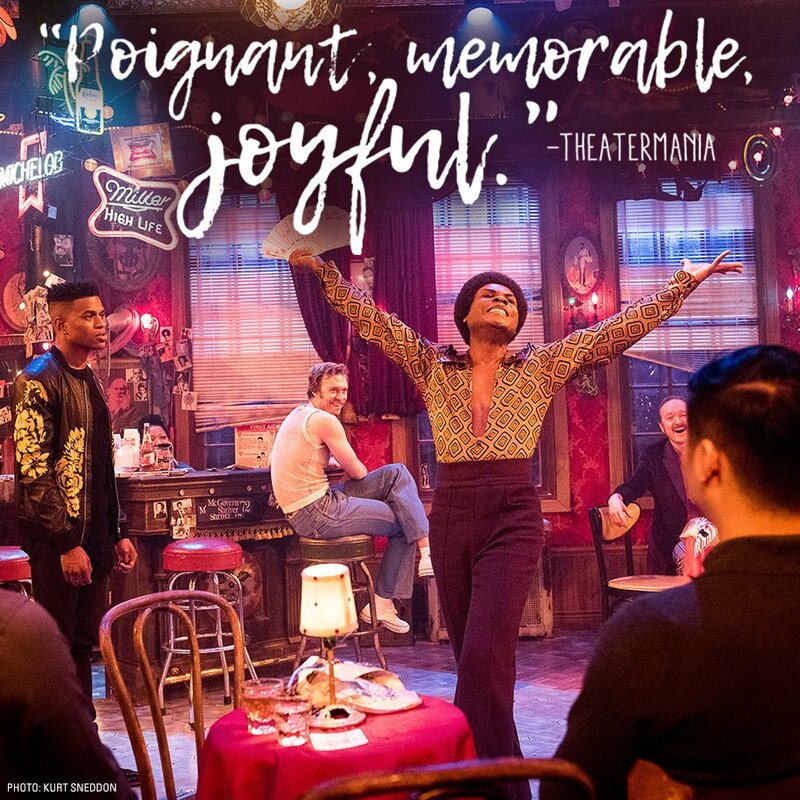 Max Vernon and The View UpStairs fearlessly takes on both, much like the LGBT Community whose spirit, both past and present, passionately fills The Lynn Redgrave Theatre through May 21st. Vibrant...the show swells with heart. The View UpStairs is ultimately a moving homage to LGBT culture, past and present. Max Vernon has scripted an exceptional story…The libretto has some holes. But some of these dramaturgical things can easily be patched up…The characters that Vernon has crafted are vibrant, leaping off the page…It’s the personal relationships that are formed that keep this musical afloat…‘The View UpStairs’ is a great work but what sets this musical apart is the magnificent production design…absolutely a must see. An imaginative, powerful, beautifully performed theater piece…The diverse cast is uniformly strong, in their acting, singing and dancing. The brunt of the performing, however, is borne by dynamic Jeremy Pope as Wes…The show has had an interesting journey so far. Developed in part at Rhinebeck Writers Retreat and at New York Stage and Film & Vassar at the Powerhouse Theater, it deserves further travel—to an uptown house.